When I began this blog last spring there was - with a few notable exceptions - a great deal of what we could call "whitespace" in the sailing blog arena. Now, in the latest example of bandwagon mentality we have a commercial yachting company - Sabre Yachts - offering us their corporate musings on sailors and sailing in blog format. I wouldn't credit Zephyr with anything more than a peripheral role in addressing sailing culture and community, but it is worth noting that the independent voice (meaning one constrained not by temporal practicalities like, say, profits) should be...I humbly suggest...regarded as a source of greater authenticity. And thus more representative of how sailors generally like to consider themselves, namely, independent. Before anyone over at Sabre erupts in self-rightous fury I'd like to qualify by noting that the truth, as outlined above, doesn't mean that the folks at Sabre aren't nice people. It doesn't mean that they aren't good sailors. It doesn't mean that they can't write. It certainly doesn't mean that they (or whomever they've hired to write for them) don't have something to add and shouldn't be welcomed. It just means that we need to keep in mind that they, ultimately, would like to sell you a yacht...preferably a Sabre Yacht. No surprise there. 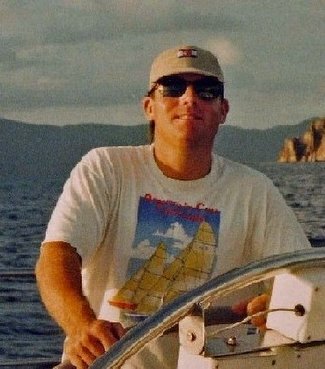 In a similar vein, I want to publicly thank Proper Course, an independent voice if there ever was one, for naming Zephyr on his "Top Ten Sailing Blogs of 2005." It's an honor to be listed and I hope I'm still there at the end of this year. I'd name Proper Course as the top sailing blog of the year. He is funny, loves sailing, and does a great job staying on topic. Hey Bill - great job with the blog.